Hi lovelies! I'm super excited about the product I'm reviewing for you all today, as I'd wanted to give this a go for ages but never picked it up when I was out shopping. So, when I was given the opportunity to try this for review, I was really excited to give it a go. As you can see, the product in question is Lanolips 'Banana Balm'. I love the original Lanolips balm, as it's fab for super dry lips and as the summer seems to be well and truly over, sore, dry lip season (aka, Winter) is on it's way - so it was the perfect time for me to try a new lip balm and prevent getting yucky cracked lips all winter long! 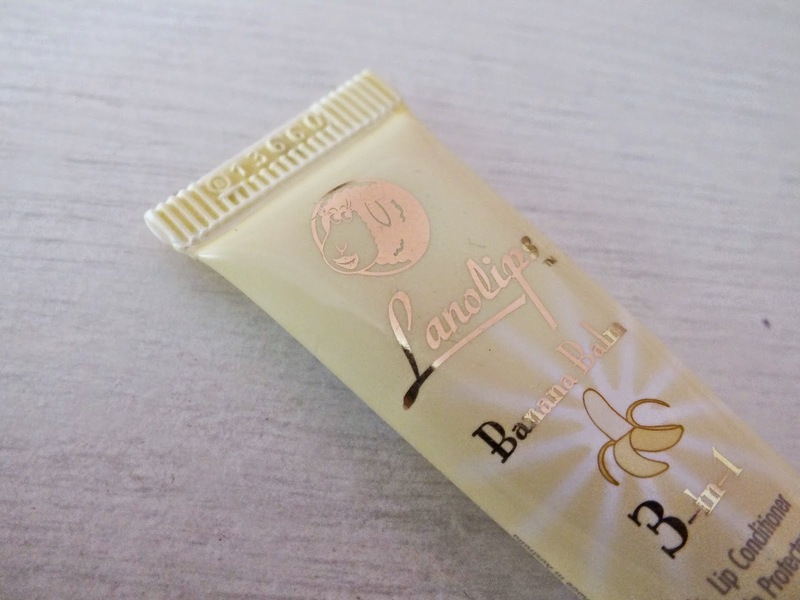 In comparison to the original Lanolips balm, which I reviewed here, this is slightly thinner, making it easier to smooth across the lips, which was the only issue I had with the first one. It's also got a gorgeous banana scent, kind of like foam banana sweets, so a slightly artificial banana smell, but I love that! It's super smooth on the lips and instantly soothes them if they're feeling even slightly sore. It keeps the lips looking smooth and full and has a subtle, pretty shimmer, which adds a little something when worn alone or with a lippy underneath. Despite the yellow colour when you squeeze this from the tube, it doesn't come across too yellow on the lips, all it does is give a slight sheen and light gloss to the lips, just toning down your natural lip colour, or the colour of the lippie you're wearing. Overall, if you need an intensely moisturising lip balm, but fancy something a bit fun and different, then this banana balm is definitely for you! What do you think? What's your fave lip balm? I've never tried Lanolips but I've heard nothing but good things about it. I'm glad to hear it's a artificial banana smell! While I like bananas enough, an authentic smell would be a little weird to me.